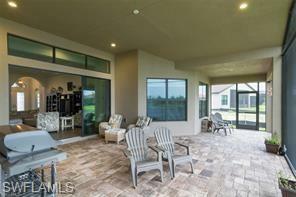 23207 Sanabria Loop, Bonita Springs, FL 34135 (MLS #219000066) :: Clausen Properties, Inc. 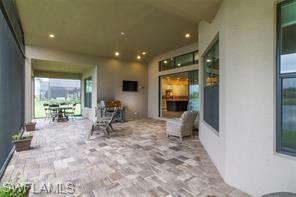 Custom Built Home by Toll Brothers. Owner put every option into this custom built home. Home features custom designed kitchen for the gourmet cook or family with Kitchen Aid applainces and under cabinet lights and crown moulding with gas cooktop stove with built in grill. The home has crown moulding through out the residence with double triple trey ceilings in the living room with recessed lighting. Master bedroom suite is over is 12x 20 with his and her walk in closets, walk in shower with his and her showers and bench seat for shaving and grooming in the shower. Split bedrooms in the home makes it perfect for the kids or guest with a den/office in the front of the home that is separated and has a private bath. This home was built as the owner's residence and plans have changed. Annual lease is desired. Listing courtesy of Collier Realty & Mgt. Services.